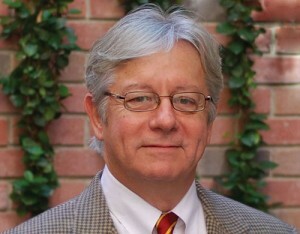 Paul Lawrence serves of counsel to Waters Kraus & Paul and he offices in the Washington D.C. area. His practice focuses on class action and whistleblower litigation, including qui tam cases under state and federal false claims acts and whistleblower claims under the SEC, CFTC and IRS programs. Although Paul works in all areas of class action and whistleblower practice, including Medicare, Medicaid and defense contracting, he takes a special interest in fraud in the financial arena, including banking, securities and cooperatives. Recent class action experience for Paul includes serving as lead counsel for a class of electric cooperative members who recovered $98 million in patronage capital that had been wrongfully withheld from members of an Atlanta-area electric co-op. The resulting settlement has been heralded as the largest known in the history of Cobb County, Georgia. Paul is a graduate of the Louisiana State University, where he earned both his bachelor’s and Juris Doctor degrees. He is licensed to practice law in Texas and Virginia. Paul is a member of the American Association for Justice, the American Bar Association, and Taxpayers Against Fraud where he has served as committee chair. He is also a frequent speaker on qui tam and False Claims Act topics at the Taxpayers Against Fraud Annual Conference. Paul can be contacted through his paralegal in the firm’s Dallas, Texas office.